Under the GDPR, an IP address is considered to PII (Personally Identifiable Information). Even Google Analytics never show IP address in reporting but Google Analytics does use it for the Geolocation data. To make your site full GDPR compatible. 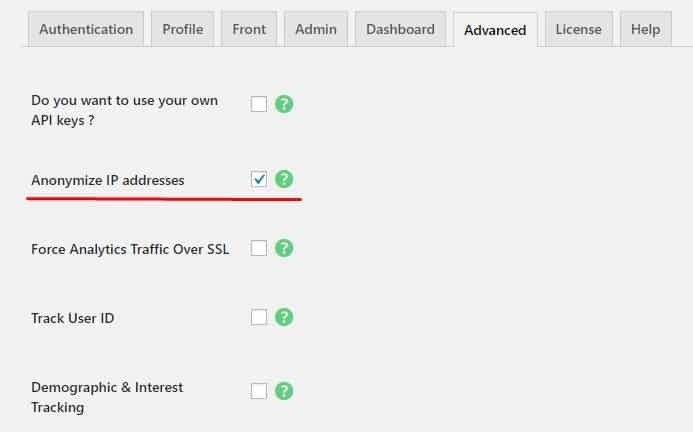 We recommend to turn on the Anonymize IP settings from Analytify. Go to Analytify Settings -> Advanced Tab.